Lock in a great price for Yachthotel Chiemsee – rated 8.5 by recent guests! The staff was wonderful and the view and grounds are just beautiful. Breakfast was good but rather expensive at 19 euro per adult, but it might be good to get room with breakfast included. If bringing children, it is a good idea to bring small snacks because their is a refrigerator in the room. Room service was quick and not too expensive for a Kate snack. The indoor pool is great nd there is also a small beach, but it has a rocky shore and bottom. It was wonderful to watch the boats go by and rad my book on the beautiful lawn. This hotel is simple fantastic ! The staff was immidiately very helpful and we felt us immidiately at home in this hotel . This is one of the best hotels in my last trips in this year ! We will come fore sure again ! Great location, private beach, spacious rooms and nice garden. Good breakfast. The staff was extremely helpful and friendly. Our room was already available when we arrived around 1 pm. The food in the restaurant was really good. - The staff is friendly. - The room and bathroom are comfortable. Good hotel with a nice lake view and very good breakfasts! Good breakfast and coffee. Nice restaurant and afordable prices. Yachthotel Chiemsee This rating is a reflection of how the property compares to the industry standard when it comes to price, facilities and services available. It's based on a self-evaluation by the property. Use this rating to help choose your stay! 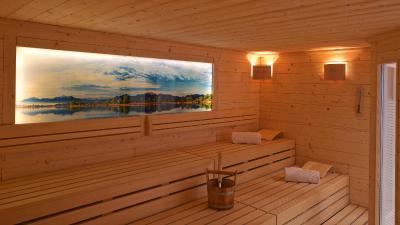 This 4-star hotel is beautifully located on Lake Chiemsee, 1.6 mi from Prien am Chiemsee‎ Train Station. 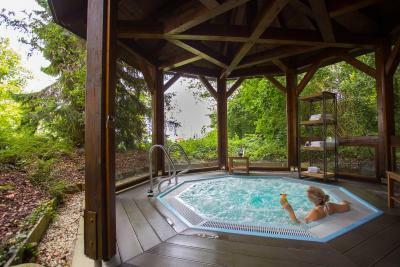 It offers a modern spa area with an outdoor whirlpool and a rich breakfast buffet. 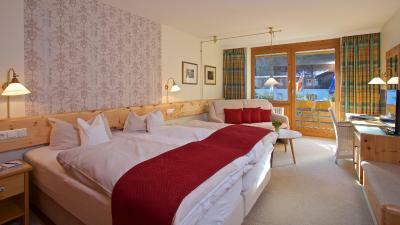 Some of the country-style rooms at the Yachthotel Chiemsee offer wonderful views of the lake and the Chiemgau Alps. All rooms feature a 32-inch flat-screen TV with international channels and free high-speed Wi-Fi access. Guests can enjoy a range of Bavarian specialties on the elegant and rustic lakeside restaurant with terrace. Drinks are served at the bar and in the cozy lounge with fireplace. Visitors can relax in the spa, including an outdoor hot tub, indoor pool, infrared sauna and fitness room. Beauty treatments can be booked here, and you can even listen to soothing music in the Asian-style relaxation room. The Yachthotel is an ideal base for swimming, sailing, hiking and cycling. 0.6 mi away, the Prien/Stock Harbor offers boat trips to Herrenchiemsee and Frauenchiemsee Island. When would you like to stay at Yachthotel Chiemsee? This double room features either a balcony or terrace, both with lake views, two double beds and a modern bathroom with a hairdryer and cosmetic mirror. This double room is suitable for disabled guests and offers a ramp access to the hotel terrace. This double room features a mini-bar and satellite TV. The modern bathroom comes with a hairdryer and cosmetic mirror. The family suite features a roof terrace, a combined living and sleeping area with a desk and a flat-screen TV. There is a separate bedroom with a double bed or two single beds. It also offers lake views. This comfort suite features a separate bedroom and living room with a sofa bed. Floor heating and a spa bath are also provided. It offers lake views. This suite is split over three floors and features panoramic views of the lake from the third floor. The bathroom comes with a spa bath and hairdryer. This single room offers lake views and a modern bathroom with hairdryer and cosmetic mirror. This double room offers a south-facing balcony, two double beds and a modern bathroom with hairdryer and cosmetic mirror. This double room faces the west side and features two double beds. The bathroom comes with a hairdryer and cosmetic mirror. This twin room is located in the attic and features two double beds and a roof window. The modern bathroom comes with a hairdryer and cosmetic mirror. House Rules Yachthotel Chiemsee takes special requests – add in the next step! Yachthotel Chiemsee accepts these cards and reserves the right to temporarily hold an amount prior to arrival. The shower was terrible!! The worst we experienced inner 6 week holiday. We also were shocked that after giving 48 hours notice that we would be leaving one day earlier (after a 7 night stay) were changed 80% of the cost of the room!! For some it might seem expensive. Big room with all 4 stars amenities. Enjoyed the sauna and the pool from basement. Aside bed there is AC sockets with USB plug-in, the means you don't need a charger! The restaurant is not bad, but it is far too expensive, a bit pretending the high level. In fact the rooms themselves are also quite expensive. Nice view from the rooms, balcony, nice park, marina on the spot (for those who need this). Close to the port, ships to Herreninsel. Very nice restaurant but quite expensive. Wonderful warm swimming pool and very big and nice sauna. Overall nice, bed not very comfortable. Nice location with pretty views. Restaurant food was good. Staff was friendly and room was nice. Comfy bed, great meals,helpful staff. Our rooms were facing a very noisy street directly over the check in and parking lot. Also, with no AC and very hot temperatures, that side of the hotel gets all the afternoon sun so the room was quite uncomfortable. It is worth it to pay for a room facing the lake. WLAN inoperational in all rooms. WLAN did only work in reception area.